Today you will add one more flower to your Circles of the Sun pillow. 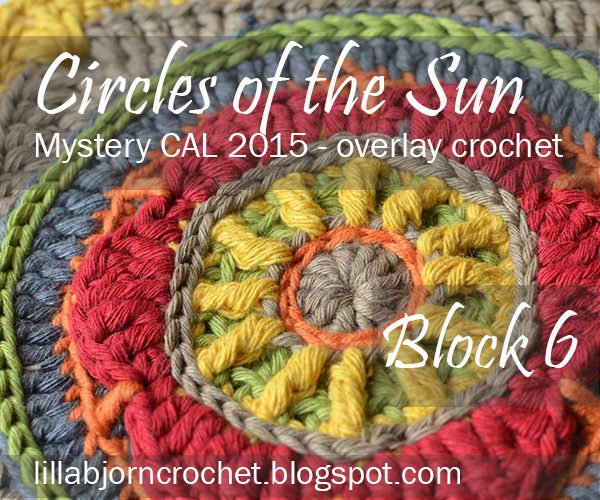 What I like about overlay crochet (and you probably know already that I like it for many-many reasons) is that you can work with several layers at the same time. This gives a very nice structure to the project. Today’s square has a 3D flower. 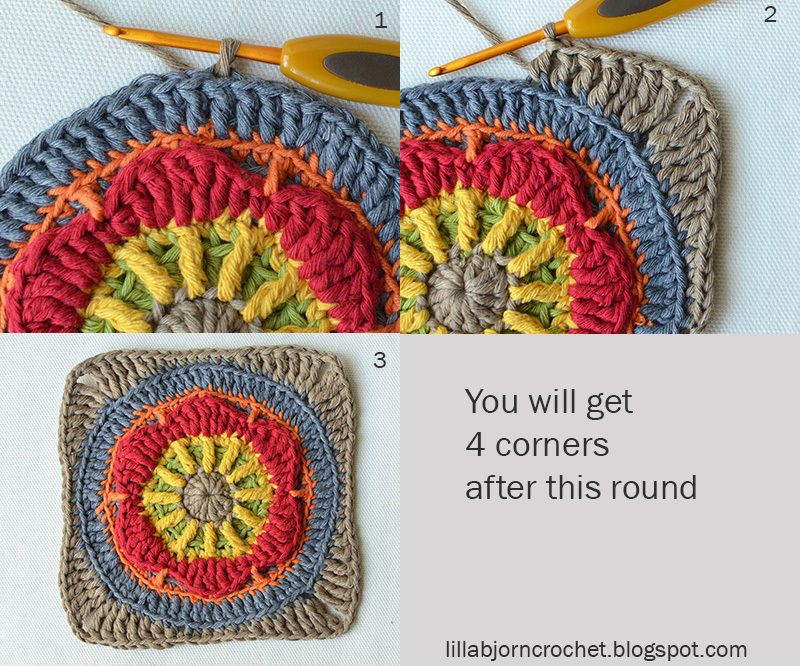 And you will get a nice opportunity to train your surface crochet once again as you will be making 3 (!) 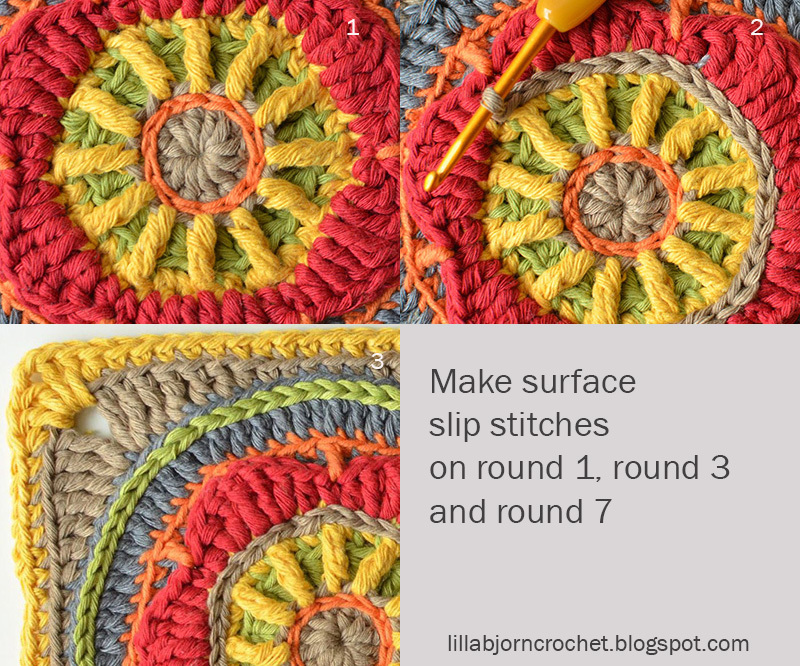 rounds of decorative slip stitches. Please, check General Information, Part 1, Part 2, Part 3, Part 4 and Part 5 of this CAL. 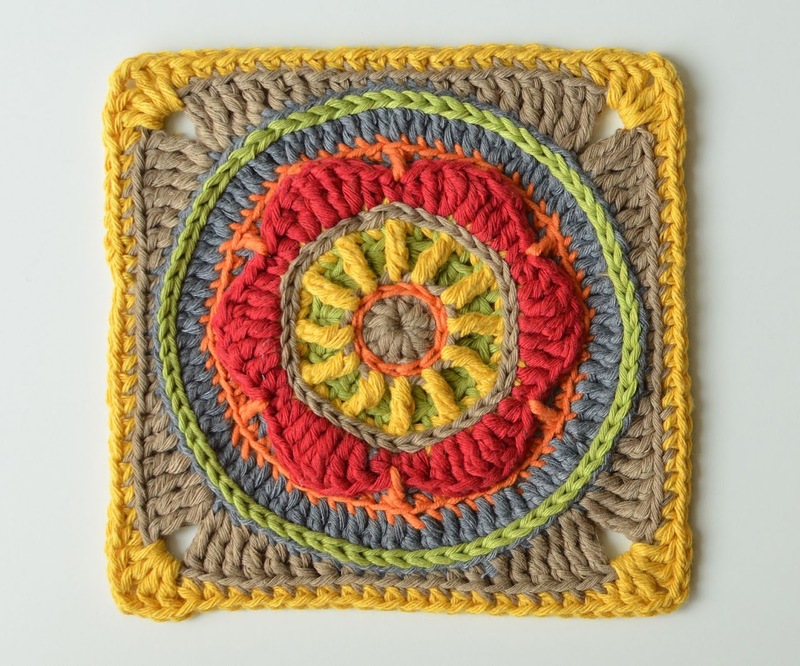 All granny squares are designed in overlay crochet technique. Please, also check this post to read more about it. When I look at all your squares shared on Ravelry and Facebook I am every time surprised by how much the colors influence the final look of each block. And I would like to encourage you to use your colors even more actively: don’t be afraid to choose your own order. You don’t need to follow my own color key as I wrote the patterns for my color palette. 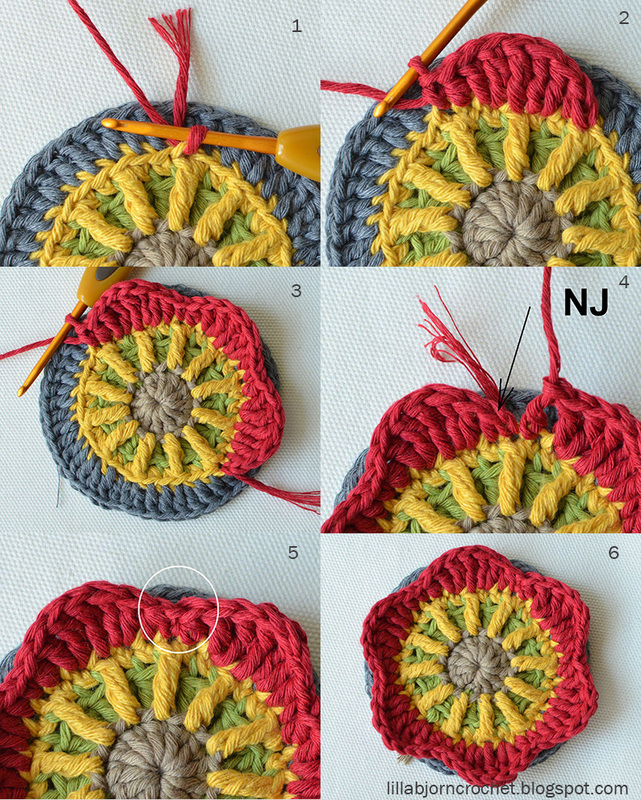 Sometimes by a minor change of colors on one or two rounds you can make granny square look very bright, and contrast. In this particular CAL the order of the colors is not important at all (while in many other overlay projects you should really stick to what is written in the pattern and follow carefully every single instruction). So, please, bring your creativity out and change your colors in a way you wish! I appreciate your feed-back very much and I attentively read through every comment on my blog. I am sorry not to reply to all of them, but I want you to know that I am thankful for every message you leave. On the previous part (Block 5) there was a very useful note about “linked trebles”. Do you know what is it? This is a special kind of crochet stitches that look pretty much like normal trebles (US) but are connected to the previous and coming stitches. 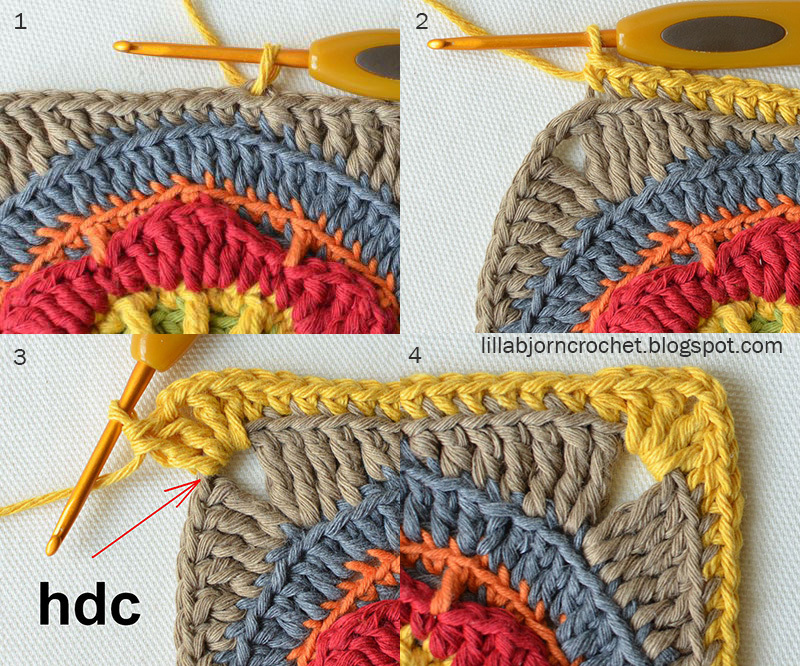 When you use this stitch, your crochet fabric has no wholes and the final look of your project is neat. 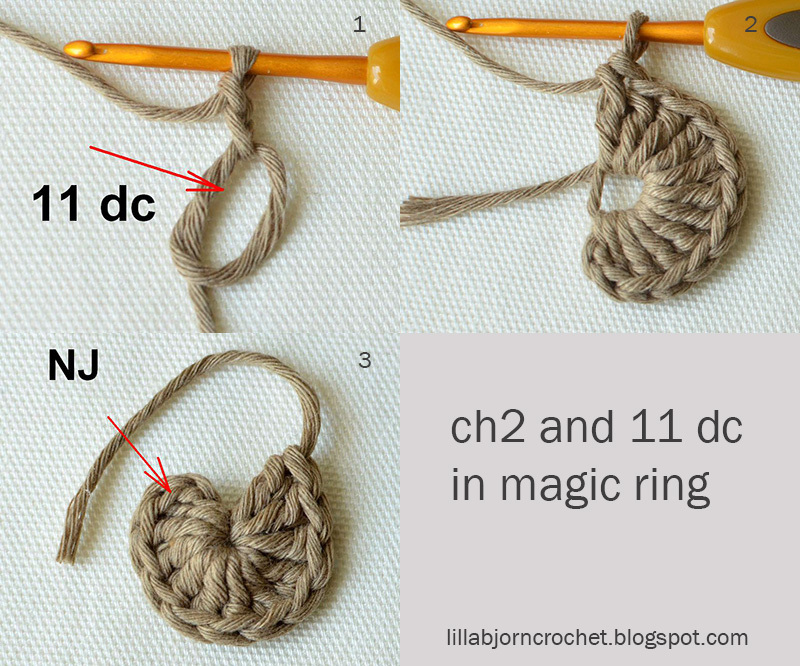 It may be extremely helpful if you are a rather loose crocheter. I was suggested to provide a tutorial on how to make linked trebles, but this stitch needs a video and I am very bad in making them. I searched through internet and came across this brilliant tutorial by Moogly. I personally have nothing against classical trebles in the corners of my grannies, but maybe you would like to make them tighter. Then this tutorial is right for you! • Crochet hook 3,25 mm (D) or size needed to obtain acceptable gauge. (Please, feel free to choose another yarn weights and the hook to get larger or smaller square). • Scissors, tapestry needle to weave in ends (I prefer crochet hook for weaving in). slst (slip stitch) - insert hook in indicated st, yo, draw yarn up and pull 2nd lp through the 1st lp on hook. 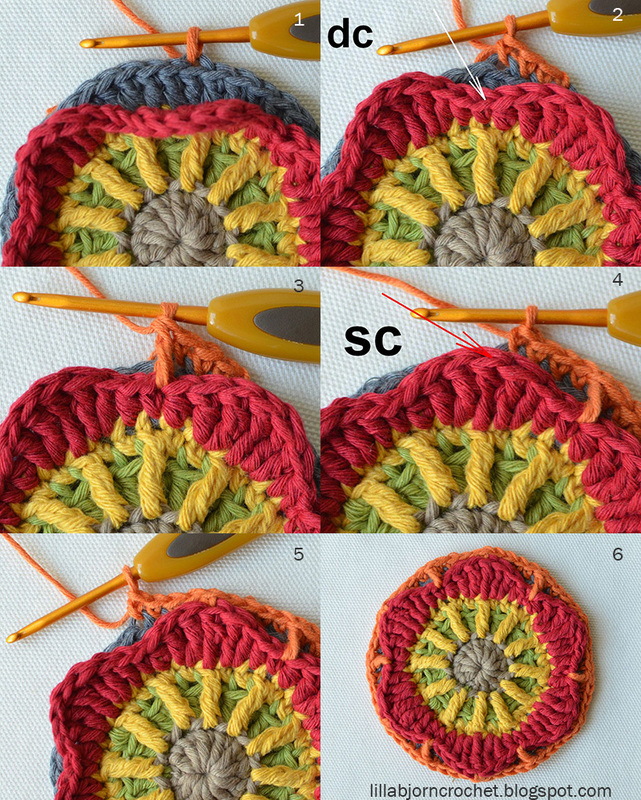 sc (single crochet) - insert hook in indicated stitch, yo, draw up a lp, yo and pull through both lps on hook. hdc (half double crochet) - yo, insert hook in indicated st, yo, draw up a lp, yo, pull through all three lps. dc (double crochet) - yo, insert hook in indicated st, yo, draw up a lp, *yo, pull through 2 lps* twice. tr (treble crochet) - yo twice, insert hook in indicated st, yo, draw up a lp, *yo, pull through 2 lps* three times. sc inc (single crochet increase) – crochet two sc in the same st.
dc inc (double crochet increase) – crochet two dc in the same st.
hdc inc (half double crochet increase) – crochet two hdc in the same st.
Rnd 1. Start with yarn C2. Rnd 2. Change to yarn C4. Attach yarn in any dc of rnd 1. Work this rnd in BL! Rnd 3. Change to yarn C1. 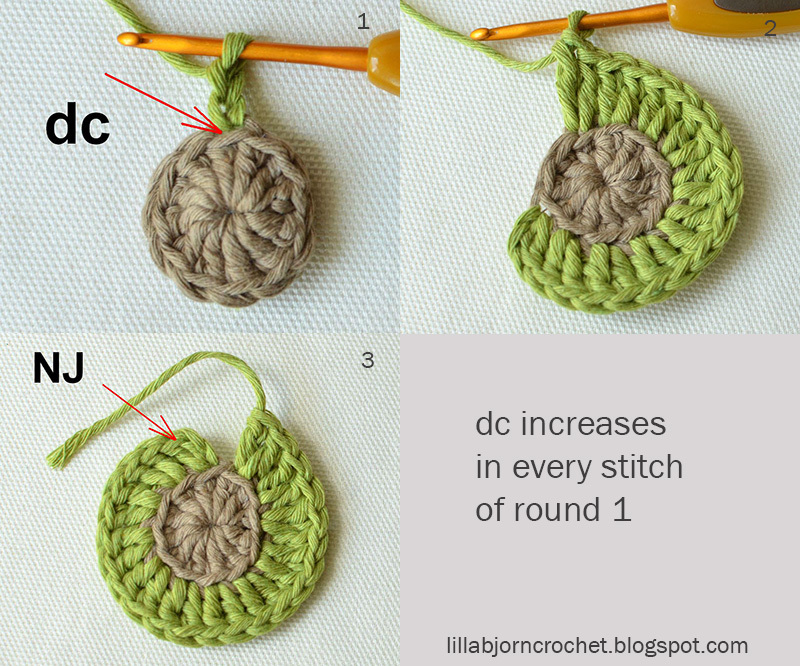 Attach yarn in 1st dc (BL) of any dc inc of rnd 2. Work this rnd in BL! Note: every dc (FL) of rnd 1 will be occupied by 1 tr. Rnd 4. Change to yarn C5. Attach yarn in any tr (BL) of rnd 3. Work this rnd in BL! Note: increases will be made in tr’s of rnd 3. Rnd 5. Change to yarn C6. Attach yarn in any tr (FL) of rnd 3. Work this rnd in FL on rnd 3! Note: you will get 6 petals on this rnd. *1 sc (the 1st sc of the rnd will be a ch), 1 hdc, (1 dc, 1 tr) in next st, 1 tr in next st, (1 tr, 1 dc) in next st, 1 hdc* 6 times, NJ in the 1st hdc of the rnd after ch1. (= 48 sts) Pull both tails to the wrong side and fasten with a knot. Rnd 6. Change to yarn C3. Attach yarn in 2nd dc (BL) of any dc inc of rnd 4 behind petal’s top. Work this rnd in BL. Rnd 7. Change to yarn C5. Attach yarn in any dc (BL) of rnd 6. Work this rnd in BL. Note: increases are made in dc’s and sc’s (of rnd 6) on the top of petals. Rnd 8. Change to yarn C2. Attach yarn in 3rd dc (BL) after any dc inc of rnd 7. Work this rnd in BL! After this rnd you will get 4 corners. Rnd 9. Change to yarn С1. 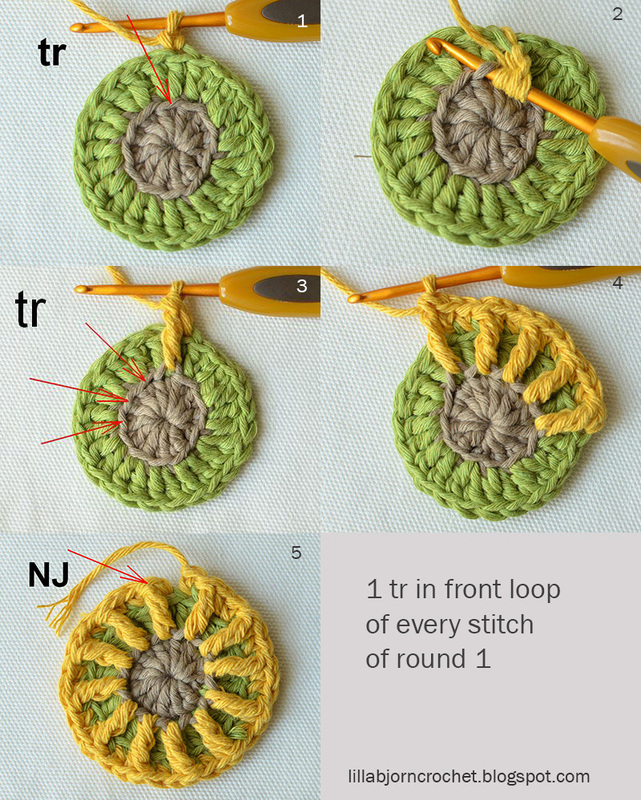 Attach yarn in the 1st sc (BL) of any group of six of rnd 8. Work this rnd in BL! 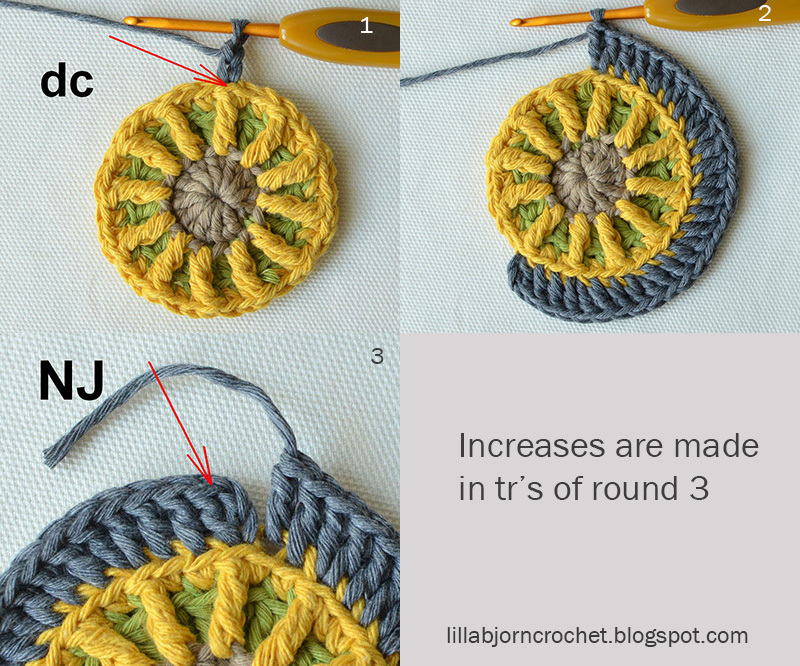 Make three decorative rnds with surface sl sts: on rnd 1 (with yarn C3), on rnd 3 just below the petals (with yarn C2) and on rnd 7 (with yarn C4). Congratulations! Your Block # 6 is finished. Please, share your squares on Ravelry. You can also find a pin for this block on Pinterest - please, feel free to repin it and share with your friends!Remember to subscribe to a weekly newsletter not to miss a single pattern and tutorial. And you can also follow me on Facebook, Pinterest and Instagram. 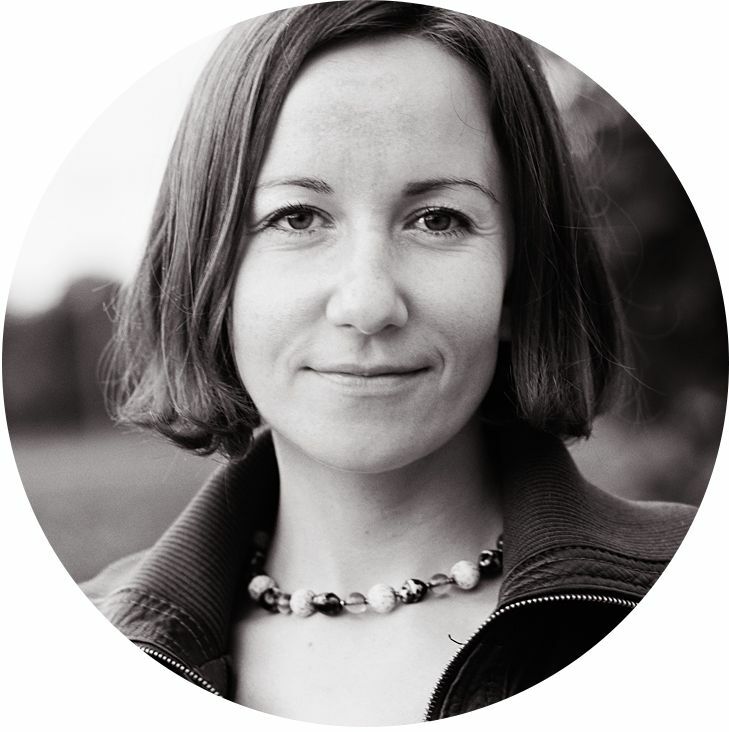 Please, also watch video by Esther Dijkstra (It’s all in a Nutshell). I am loving making squares with your patterns. The first 5 weeks I have made 4 of each week. Going to continue doing that. My squares are 8 inches so I decided to do an afghan. I am also using cotton and some variegated in it. I am going to post them next week when I get week 6 done. Lovely block, I think this one is my favourite! Many thanks for providing this CAL, it's great. I love this CAL. I love the technique, i love it is short enough to allow me to include it in my mum of 2 kids ( 4 yo and 1 yo) life. In this part round 6 do I miss an increase? Round 4 you have 48 stiches round 6 60 and no increase. Is there something I do wrong? On rnd 6 you make 6 increases in each repeating section (12 increases in total) by skipping NO sts behind the stitches anchored on petals... Please, reread iand follow nstructions carefully and let me know if it works for you! I understood my mistake watching the video. Thank you for such a good job. There is no pattern for this square on this page (#6)... it goes from stitch abbreviations straight to comments, with no link to the video tutorial! I would really like to have the pattern for this last square, can you help?